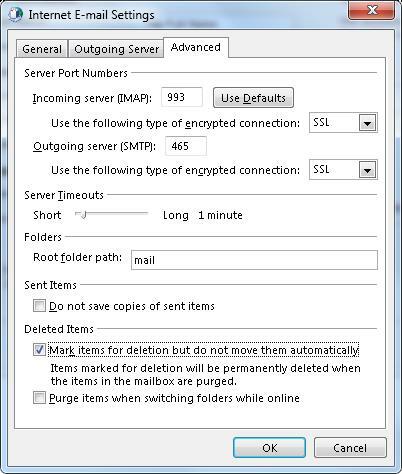 Click on New… and select Manual setup or additional server types. See below. 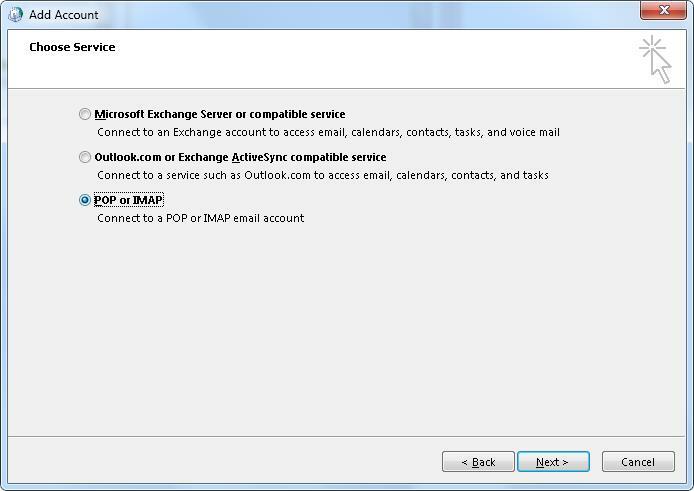 In Choose Service, select POP or IMAP and Next. See below. 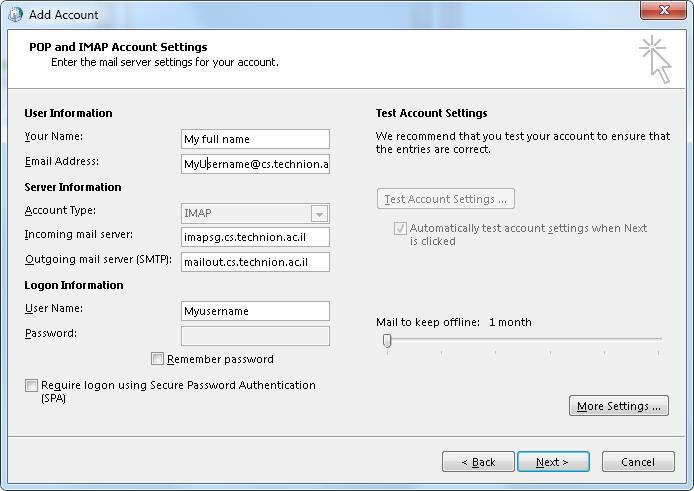 Incoming Mail server: cs.technion.ac.il (for segel/staff) OR imapta.cs.technion.ac.il (for graduate/assistant). In general tab: Enter your details. 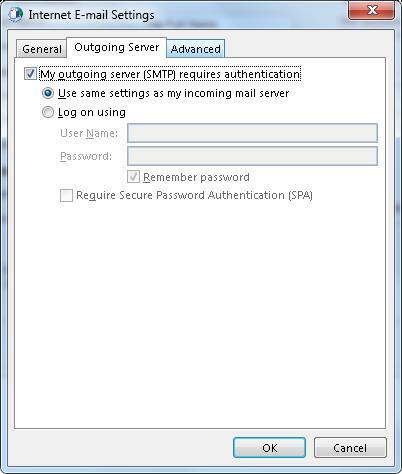 Select: My outgoing server (SMTP) requires authentication. Select Deleted Items as you want. 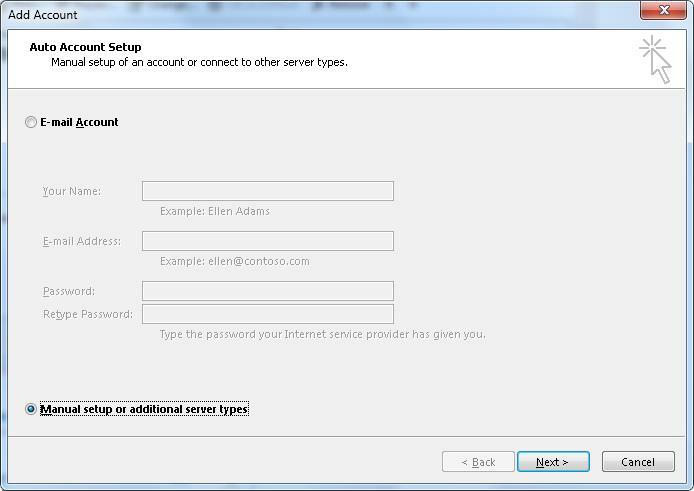 Click Next on Add account to start connection to servers. You will be asked for password. Enter your Unix CS password. You should see on the left your account Inbox folder under your username. Try to send Email to yourself and see if you get this mail. You may need to re-enter your Unix password.